By using PROMOLUX lights, retailers typically experience from one to three days extra shelf life, depending on the sensitivity of the prepared food item exposed to UV from regular lamps. Today, consumers are demanding premium quality freshness, and if they don�t find it in your store, they will purchase the item elsewhere. Upgrading the lighting in your display cases to PROMOLUX specialty lamps will save you money, increase shelf life of perishables and attract more shoppers attention. Prepared food service retailers consider PROMOLUX an ideal investment since in many cases extended shelf life alone will pay for the bulbs in a few weeks. PROMOLUX has been established in the European market for more than twenty years and for fifteen years in North America through its Canadian subsidiary, MGV Inc. PROMOLUX manufactures lamps for many markets, in North America and abroad, so worldwide standards are maintained. 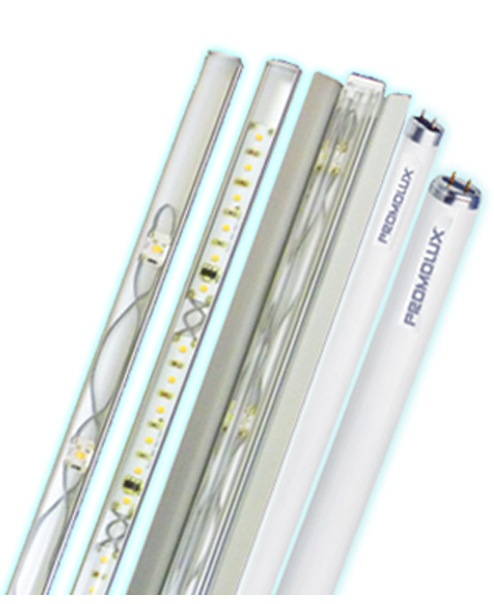 PROMOLUX lamps are multi-coated with rare earth phosphors that are most often found in television picture tubes coating. It is a more expensive coating process than used in making standard fluorescent lamps. Additional special coatings are used to control UV radiation and provide the highest quality of color presentation. More technical information is available on the PROMOLUX website. 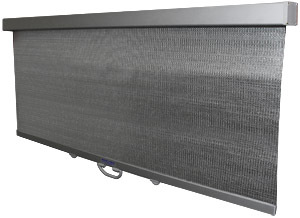 Simple to install and simple to use, ECONOFROST, the only woven aluminum night cover available on the market, has been established successfully in over 300,000 installations worldwide. ECONOFROST aluminum night covers have been tested by Southern California Edison, who found that customers who use ECONOFROST experience significant savings in energy. If your older equipment doesn�t comply with the new 41� temperature regulation, ECONOFROST can help. By using the covers at night, SC Edison found that it takes up to 15 hours for the product to warm back up again. "Econofrost covers are GREAT! I've worked produce for 15 years and know my trade. Product loss is down 60% after the covers were installed!" ECONOFROST refrigeration night covers are a trouble-free economical investment for any supermarket. They will pay for themselves within 18 months, often as quickly as three months! Enquire Now about ECONOFROST Night Covers and Stop Throwing Your Money Away! More technical information is available on the ECONOFROST website.